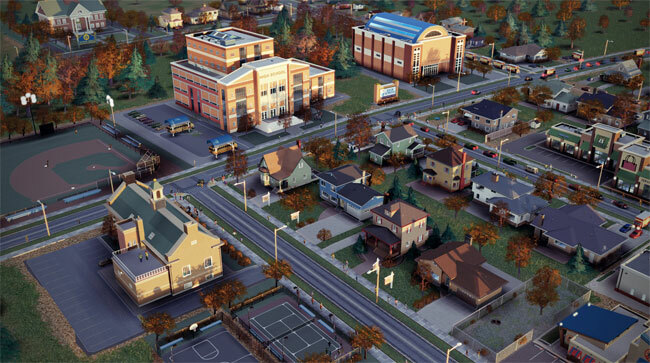 If you are fan of the SimCity franchise, after a ten-year hiatus EA and Maxis have announced that the new game in the franchise is now available to purchase. The new SimCity game is currently available for PC gamers at retail outlets across North America. The game is also available as a digital download via Origin. The new game brings the familiar city building game play we all know and love from the franchise. The new game uses a GlassBox Engine to intelligently simulate everything from the citizens of your virtual city to every single kilowatt of power used in a region. Players are also no longer limited to playing a single city at a time. The new game supports management and play for up to 16 cities at a time. Players can choose a different specialization for each of the 16 cities and the cities can share services and resources or combat against each other. The game also adds multiple player aspects and decisions impact the city and the region. SimCity is one of the more anticipated games so far for 2013 and will prove to be very popular.